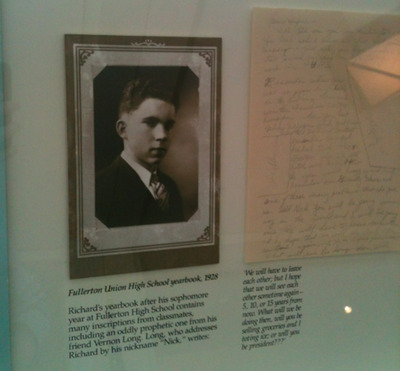 Starting with Herbert Hoover, every American president has established libraries and museums to preserve their legacies — and to tell their side of the story.Richard Nixon is no exception. 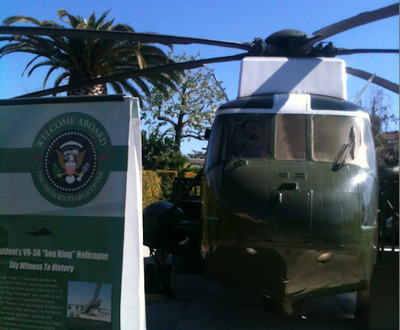 Just a few miles south of Los Angeles sits the Richard M. Nixon Presidential Library and museum, a sprawling complex created by his foundation and administered by the National Archives. 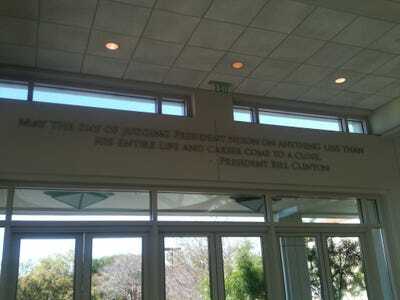 During a recent trip out west, we stopped by to see how America’s most controversial president asked to be remembered. After the trip, we spoke with Bob Bostock, a consultant to the foundation and co-author of most of the museum’s exhibits. 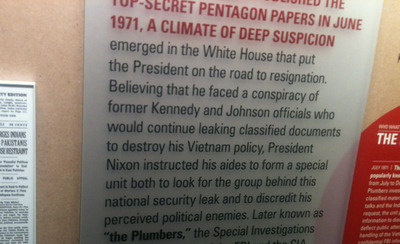 The other author was Nixon himself, he told us. 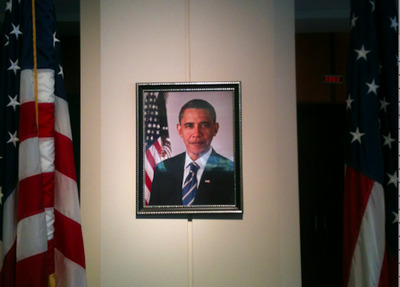 Bostock says no presidential museum is designed to be impartial, but is rather an opportunity to tell a president’s story from his own perspective. 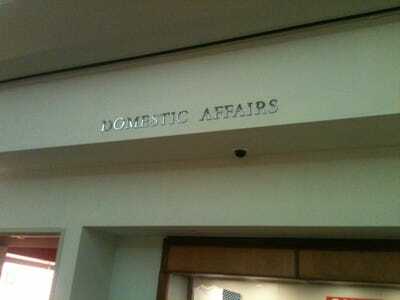 One could argue that the distinction is not quite so clear cut. 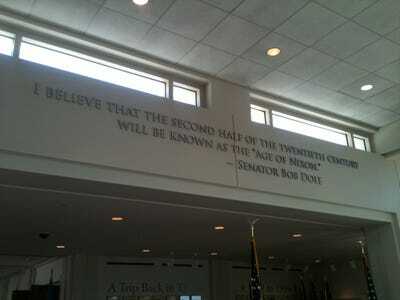 There are no disclaimers saying where the foundation ends and the National Archives begins. 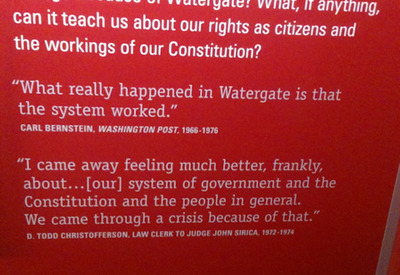 Bostock says the Watergate section of the museum, produced by the National Archives and not the foundation, is arguably too anti-Nixon. The foundation ceded control of that section when the Archives took control of the museum in 2007, he says, though he wanted us to emphasise that the relationship between the Archives and the foundation is otherwise cordial. “I don’t think anyone goes in to see exhibits that are harshly critical of that particular president,” he said, noting there are plenty of other places to look to find critical voices. No one, he argued, should go in to a presidential library with the assumption that they are getting an official history. “We don’t have that in this country,” he said. The first thing you notice is that the place is huge and sort of beautiful. 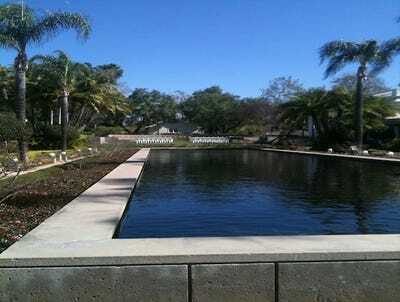 There's a large reflecting pool capped by an outdoor ceremony area. 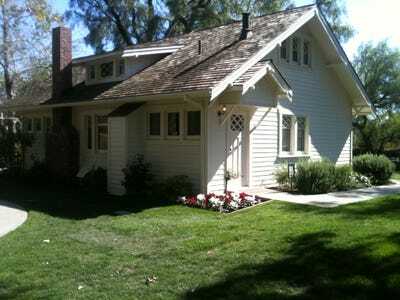 As well as his birth home. 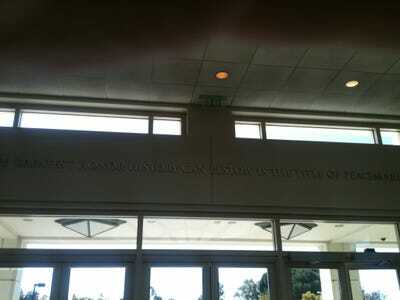 The museum and library themselves are an impressive 52,000 square feet. 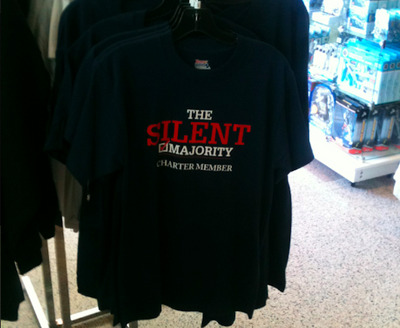 Like any self-respecting museum, the first thing you see is the gift shop. 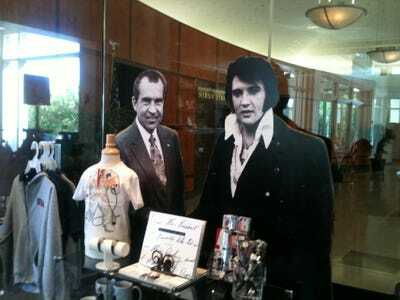 Bostock says Nixon-Elvis memorabilia is usually the hottest item. This one struck us as particularly interesting. Beyond the gift shop is a large plaza showing the Nixon foundation's patrons. 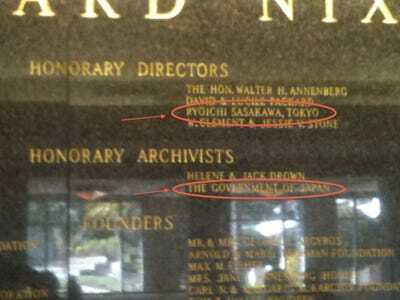 It's an interesting group that includes the Japanese government and controversial philanthropist Ryoichi Sasakawa. 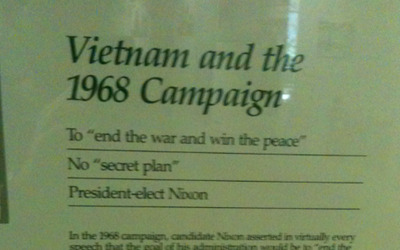 Nixon's non-Vietnam foreign policy undertakings end up dominating the museum. 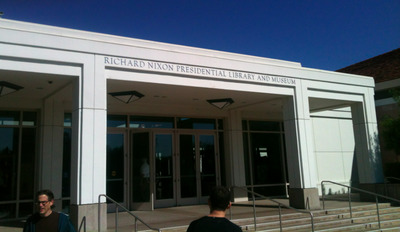 The museum begins with with a timeline of Nixon's family history. 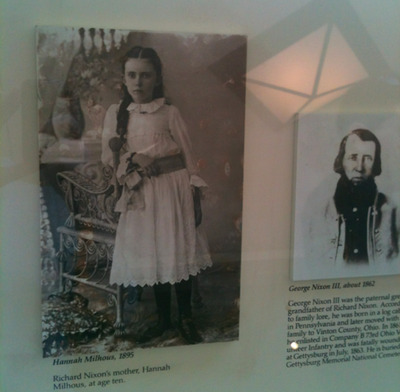 Here's a photo of his mother as a child. The eyes are unmistakable. 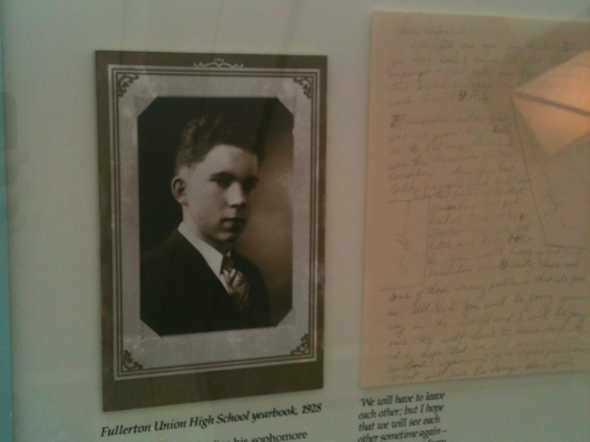 The story of Nixon's upbringing is pretty gripping. He basically came from nothing. His father operated a gas station. Two of his brothers died before the age of 25. 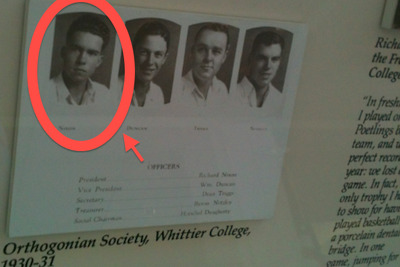 The Nixon scowl we would come to know later in life appears to have been present at a very early age. He carried it with him to Whittier college. Even those familiar with Nixon's life story may find his entrance into politics obscure. 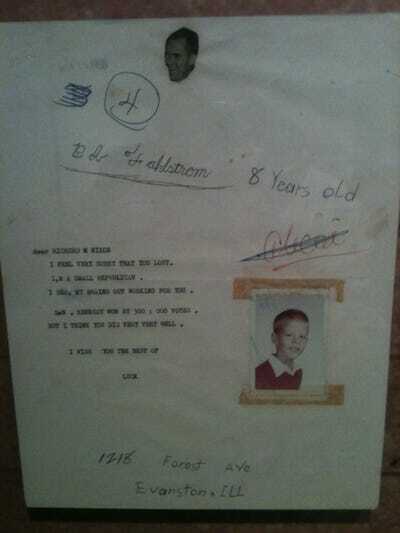 This document explains it: it's the letter from H.L. 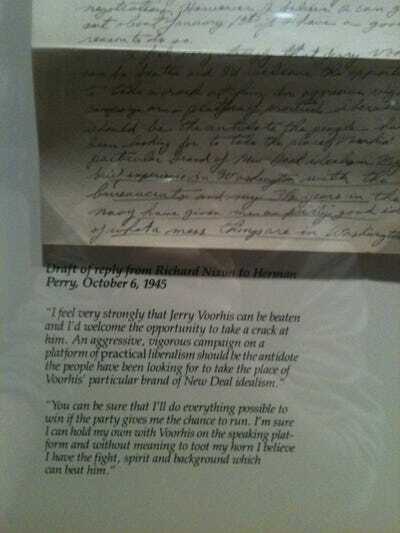 Perry, a major donor to Whittier College who'd become friendly with Nixon, asking him to run for Congress in southern California. 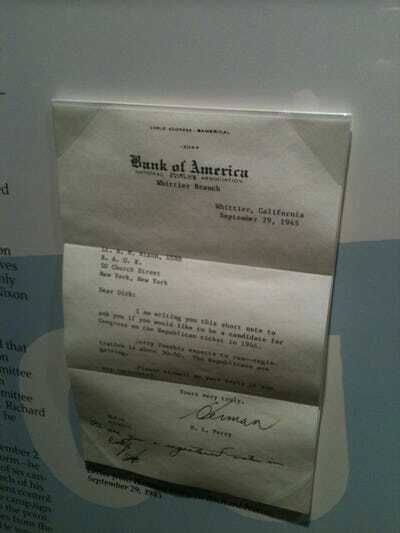 The document may be the highlight of the entire museum. It's arguably as fateful as any note written among the founding fathers. Nixon was certainly ambitious -- he had previously attempted to run for a local political office -- but he'd been turned down from virtually everything for which he'd ever applied. Here, finally, was someone choosing him. 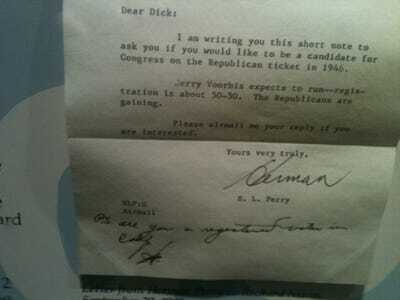 As Nixon's reply shows, Perry had unleashed an animal. 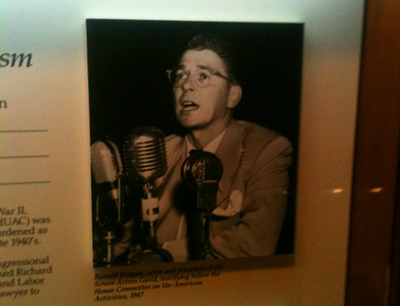 For instance, here's future president and then-actor Ronald Reagan defending Screen Actors Guild members accused of Communism at a House Unamerican Activities Commission session. 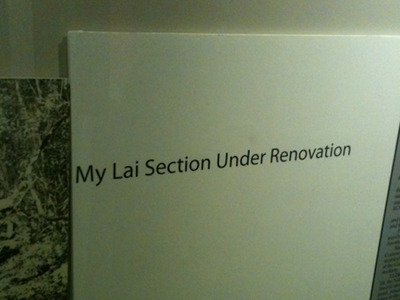 The museum also occasionally narrows in on sensational but ultimately trivial elements of bad moments in American history, basically missing the forest for the trees. 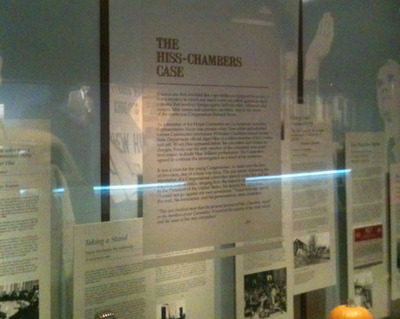 One example is the Alger Hiss case. Running alongside General Eisenhower in the 1952 Presidential Election, Nixon came under fire for maintaining a shady political fund. He ended up giving a half-hour address live on TV defending himself and telling an anecdote about how he couldn't afford a dog, so a supporter mailed him one. 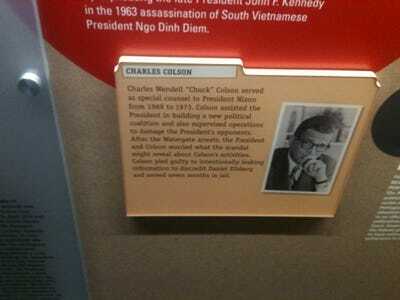 It was during his vice presidency that Nixon got his taste for foreign policy. 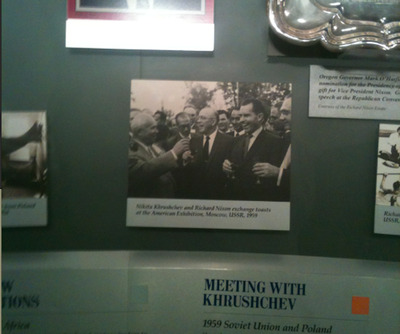 Here he is meeting with Soviet Premier Nikita Khruschev. 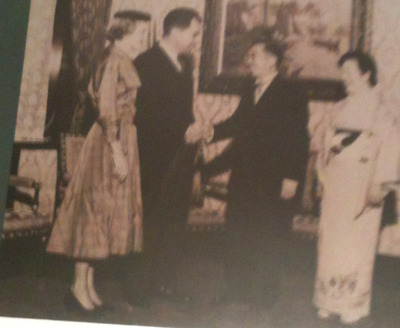 This photo — Nixon shaking hands with Emperor Hirohito — may help answer his foundation's connection to the Japanese government. 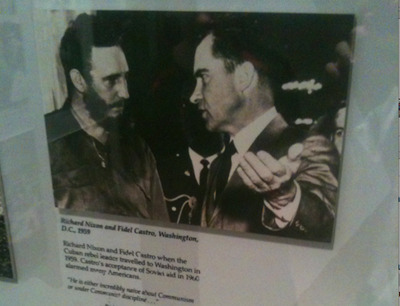 Here's Nixon with Fidel Castro. 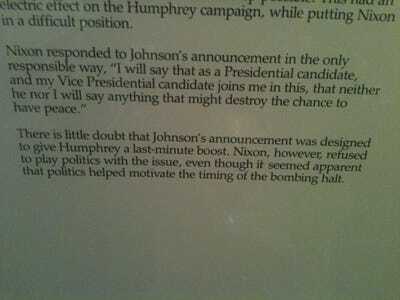 One of the biggest questions we had was how the museum would treat Nixon's infamous debate against John Kennedy in 1960. 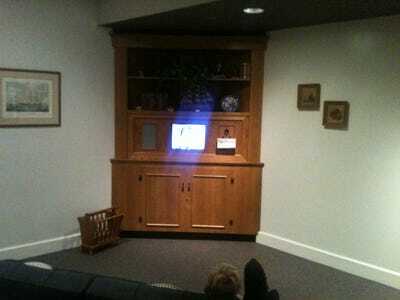 Not only did they not skim over it, they recreated an entire living room for it. 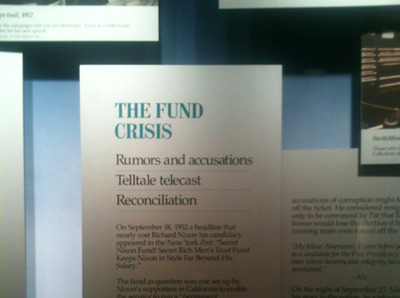 But again, the museum finds a way to blunt the blow of Nixon's worst moments. 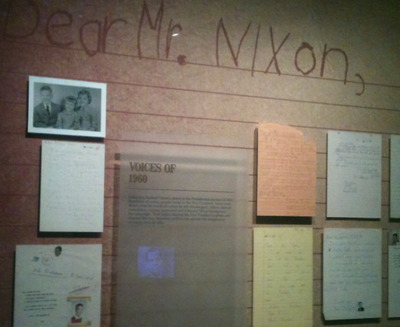 Facing the TV is this wall of letters from children wishing he'd won the 1960 election. 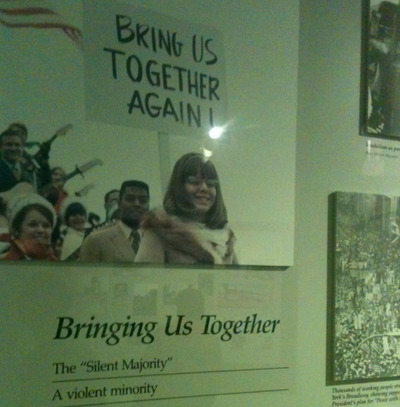 The way museum looks at the '68 election, one of the most consequential in U.S. history, is rather strange. 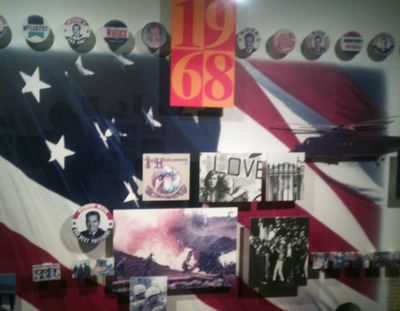 It ends up being divided into two sections, one capturing the spirit of the times, and another talking about Vietnam. The former doesn't get much beyond this mural. We have to get to another to learn about the campaign more in depth. 'Even though Richard Nixon didn't have one, the notion that he had a secret plan to end the Vietnam war helped him win the presidency in 1968. This panel was perhaps the most egregious example. Many historians view Nixon's secret bombing campaign in Cambodia, which killed between 150,000 to 500,000 civilians, as a reprehensible power grab at worse. 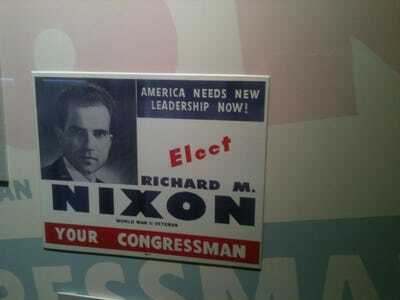 Nixon kept the campaign secret from Congress for months. 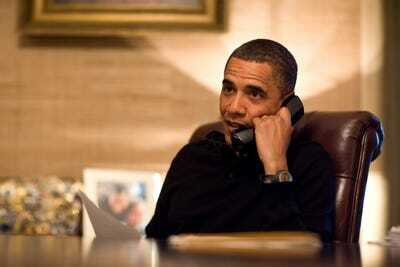 Many commentators also believe the bombings may have constituted war crimes. 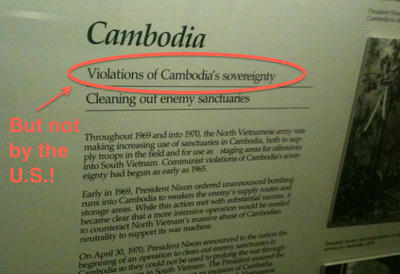 Instead, the 'violation of sovereignty' the museum refers to here are the bases the North Vietnamese set up there from which they could launch campaigns in the south. Meanwhile, the surrounding section is dominated by Nixon's other foreign policy achievements, including his groundbreaking trip to China. 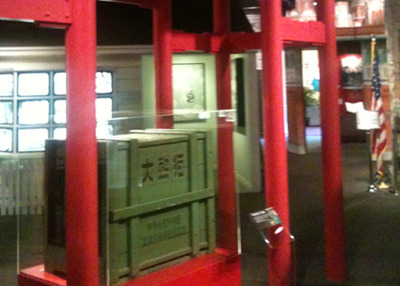 Here's the crate used to transport the pandas Chairman Mao gifted the U.S.
Nixon famously sent two steer. Arguably the more disappointing and surprising elements of the museum — though perhaps a function of simple space constraints — was how little time was spent on Nixon's domestic achievements. 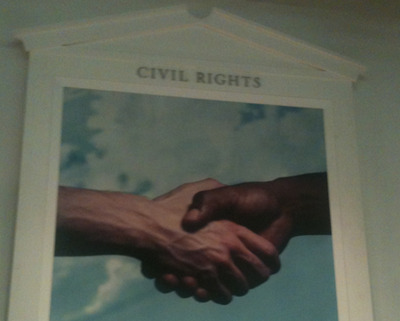 The museum divides them into six panels that look like this. 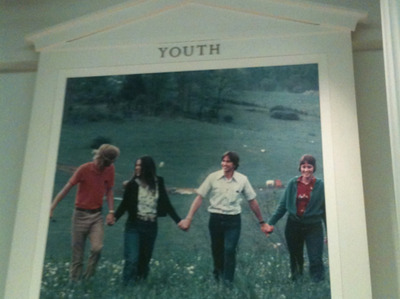 This one may seem strange but alludes to Nixon's lowering the voting age to 18, which he did somewhat grudgingly. 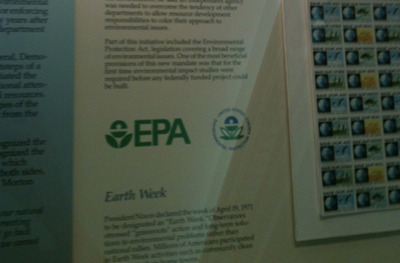 Meanwhile, many Americans — including patrons we spoke with at the museum — may not know Nixon created the EPA. Some would argue this achievement deserves its own wing. Instead it gets a small panel. Whatever Nixon's personal attitudes toward race may have been, he helped advance desegregation in schools. 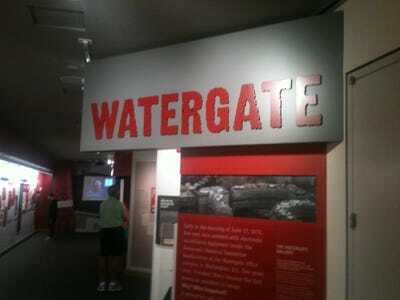 The biggest mystery was how the museum would treat Watergate. 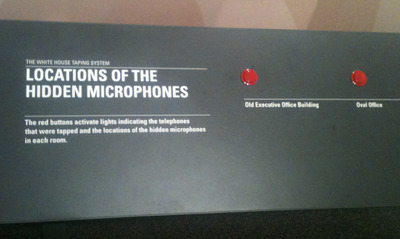 As we mentioned in the intro, this exhibit was put together by the National Archives and not the foundation. You can immediately tell the foundation wasn't involved — It turns out to be pretty hokey. It's pretty much a kids tour of a scandal that defined a generation. 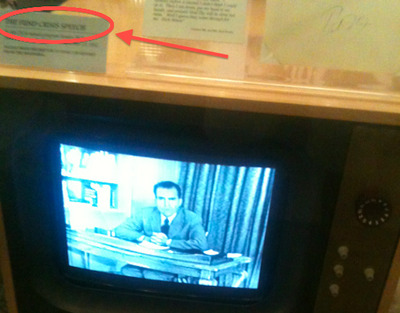 You can press a button to see where Nixon's taping equipment was located. That kind of thing comes at the expense of explaining the complicated origins of the break-in and cover-up, which are explained as having stemmed from Daniel Ellsberg's leaking of the Pentagon papers. Many historians argue the roots go well beyond that incident to Nixon's tragically entrenched us-against-them mentality. And there is arguably too much focus on the role of his lieutenants and not on the President himself — though Bostock told us he finds the section too anti-Nixon. Though this was a sound note on which to end the section. 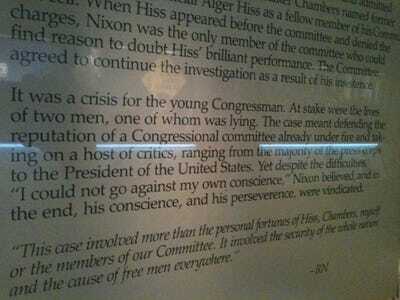 And, of course, Nixon himself.